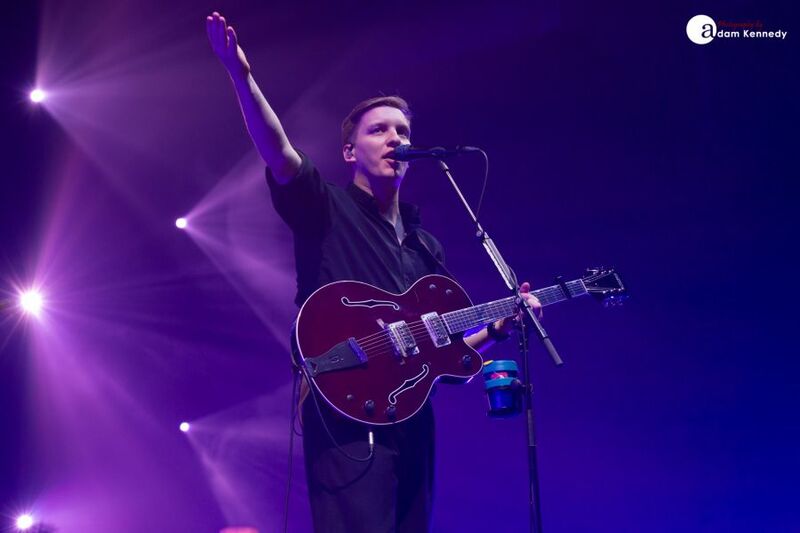 George Ezra kicks off his first-ever headline arena tour in style on Tyneside. 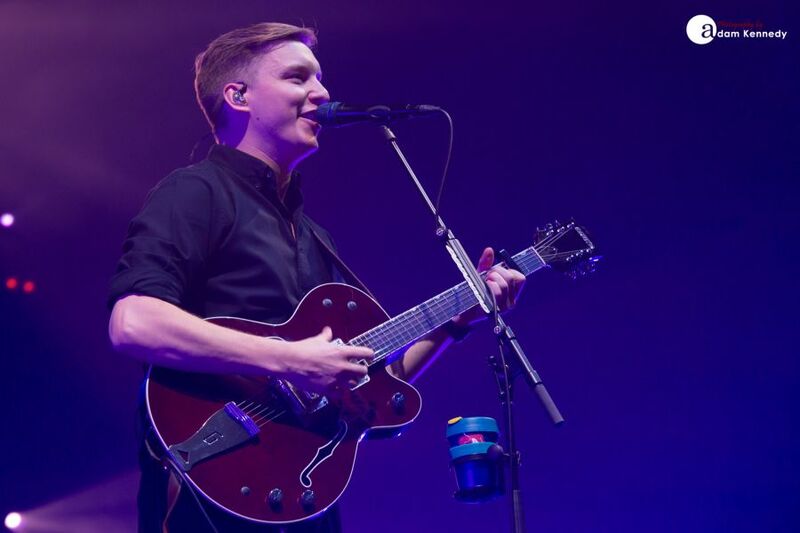 It’s fair to say that things just continue to get bigger and better for George Ezra. 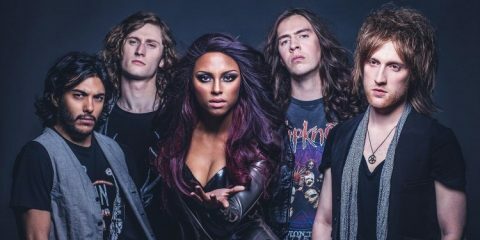 The British singer/songwriter’s second Number 1 album Staying At Tamara’s spawned a raft of chart-topping singles, as well as being one of the top-selling albums of 2018. 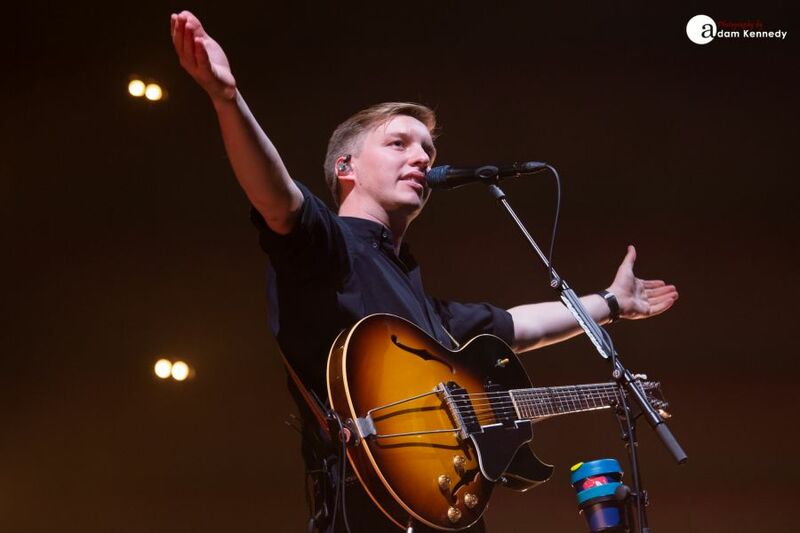 Following a sell-out show at the O2 Academy Newcastle at the close of 2018, George Ezra is back in the North East of England this evening for the opening night of his current run at the recently rebranded Utilita Arena. Such was the unprecedented demand for the chart-topping superstar’s debut headline arena tour that the initial ten dates sold out in just 30 minutes. An impressive achievement to say the least. 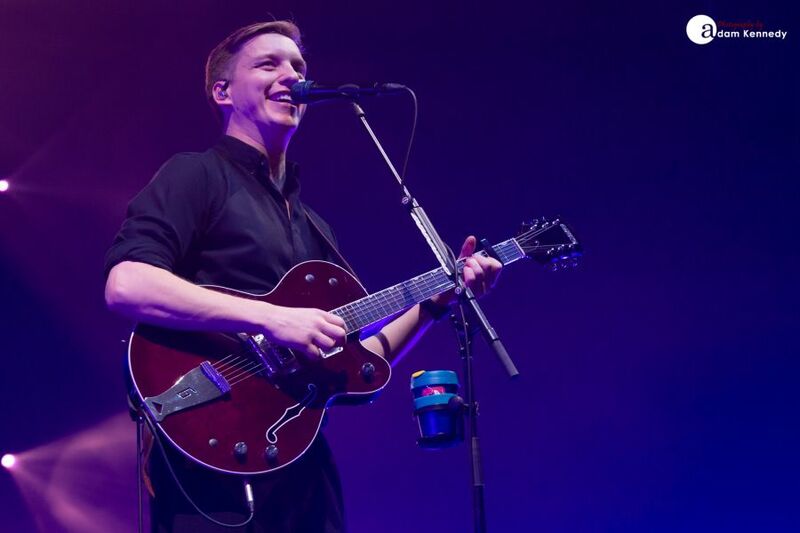 As George Ezra takes to the stage, dressed in black and grasping his cherry red Gretsch guitar, he wastes no time at all showcasing his latest offering as he kicks off the proceedings with the soulful and somewhat funky number “Don’t Matter Now” and a harmonious airing of “Get Away”, which in turn sets the tone for the night ahead. 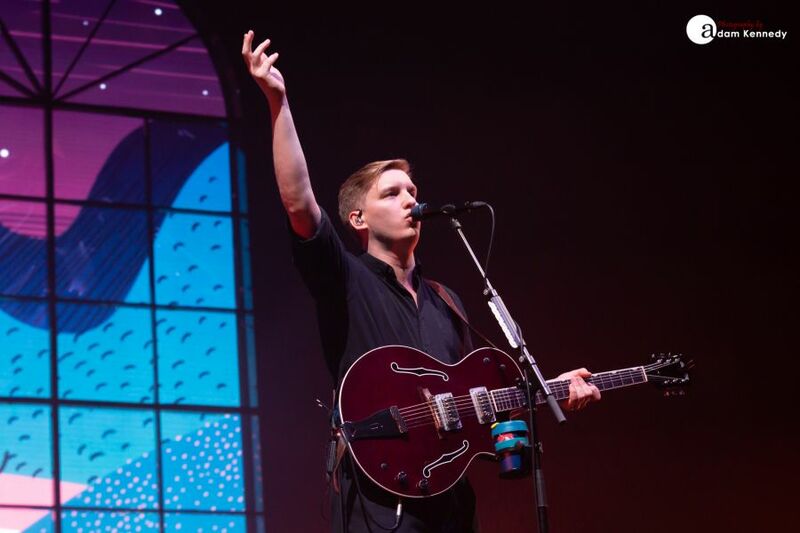 George Ezra has his crowd transfixed from the off, and tonight the Geordie faithful have certainly brought their dancing shoes. Ezra slows things down momentarily with a heartfelt rendition of “Barcelona” at the top of the set. 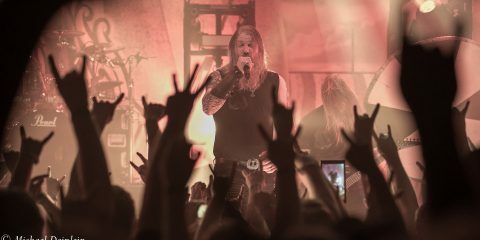 The track features some intricate guitar work from the man himself. 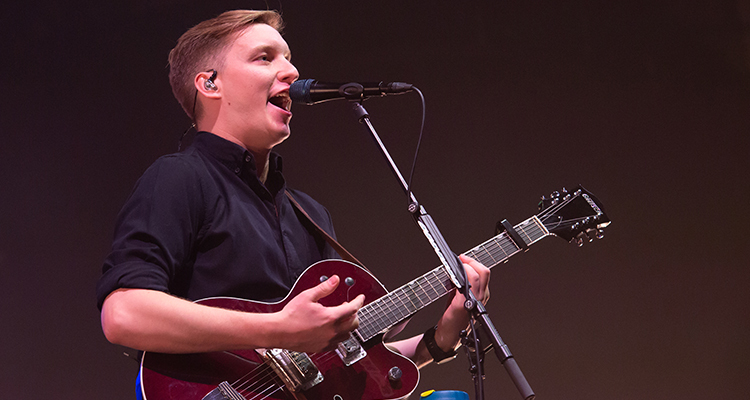 Not only is George Ezra a gifted songwriter but he is also a talented and charming storyteller. 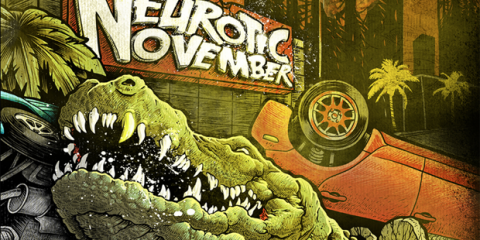 Between each song, he shares witty backstories about how each of his songs came to fruition. Many of which have been inspired by his travels across the globe and adventures inter-railing across Europe. Who would have thought that hit single “Budapest” is not about Hungary’s capital city itself, which by all accounts can sometimes bemuse Hungarian journalists. 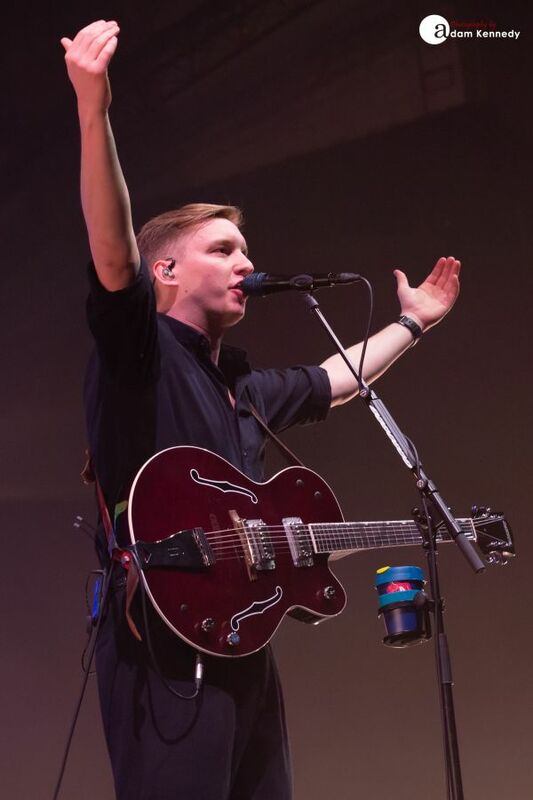 Throughout the course of the evening, George Ezra performs the lion’s share of Staying At Tamara’s with nine of the eleven tracks on the record featuring. This includes the likes of the joyous “Pretty Shining People”, the uplifting and incredibly infectious lead single “Paradise”, the beautiful “Hold My Girl” along with a warm and tropically tinged rendition of “Sugarcoat”. Of course, there is plenty of room in the set for songs from Ezra’s debut album Wanted On Voyage. 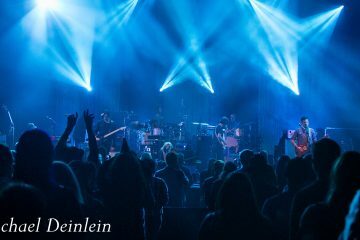 This includes a pair of tracks which highlight a slightly more blues/rootsy orientated sound to Ezra’s repertoire in the shape of “Song 6” and “Did You Hear The Rain”. The latter of which commences via a record played on an old fashioned Gramophone positioned stage right. 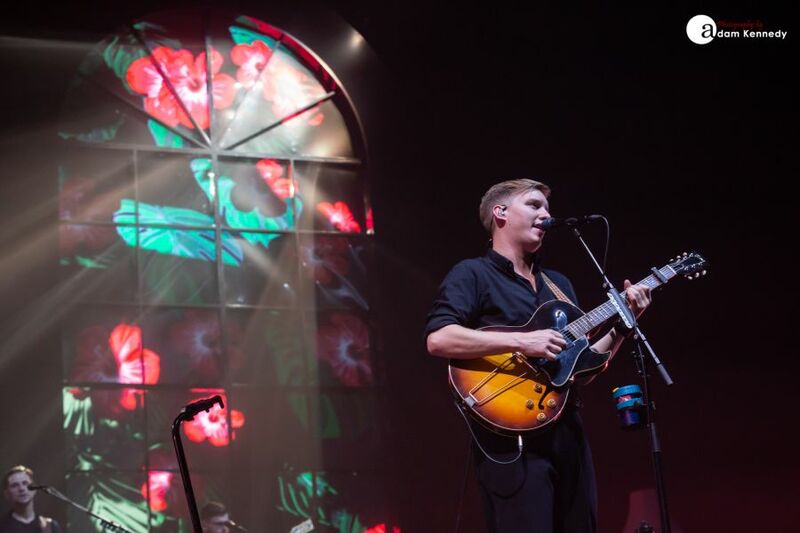 Following a recent tour Down Under, George Ezra is back on home turf. 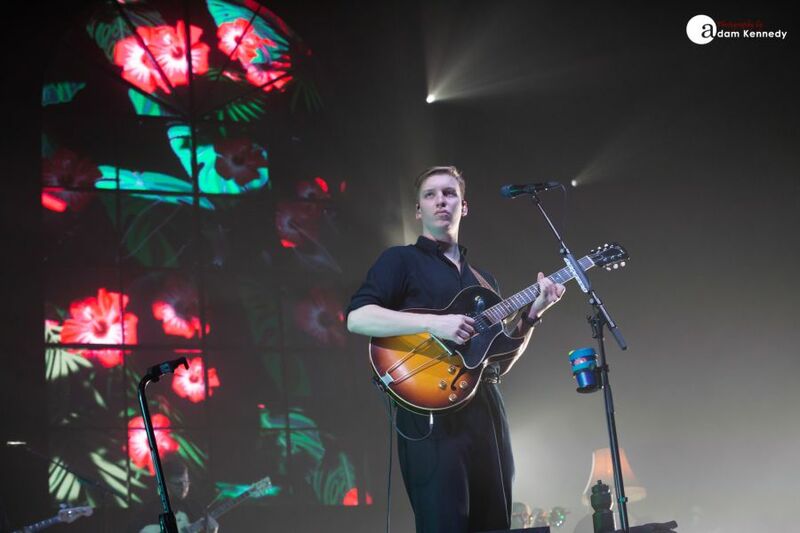 This evening’s decorative and aesthetically pleasing stage set features lampshades perched above the stage, stained glass window panes and plants at the rear, along with glowing lanterns suspended from the arena ceiling which in turn adds to the overall cosy and somewhat homely vibe of the production. 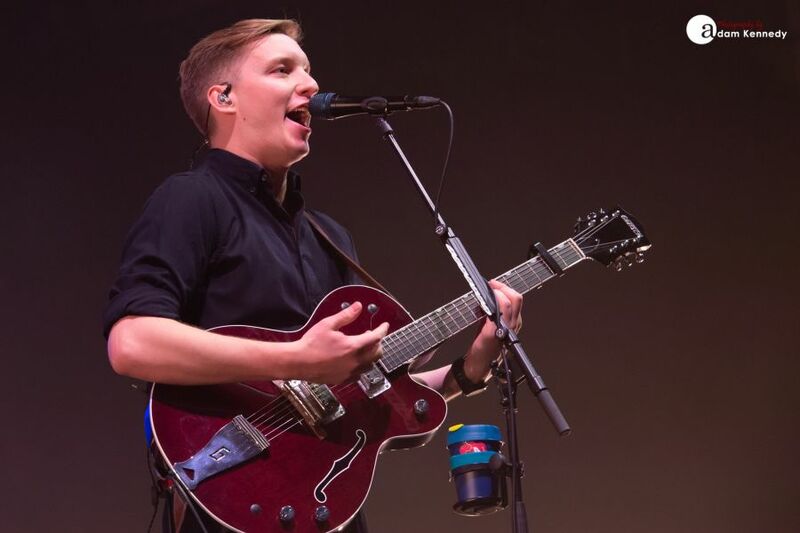 As Ezra races towards the finish line, he closes out the show with a pair of fan favourites in the shape of the anthemic “Blame It On Me” and “Budapest”, which in turn leaves the crowd wanting more. A two-song encore concluding with a crowd-pleasing rendition of Number 1 single “Shotgun” closes out a phenomenal night of music in Newcastle. 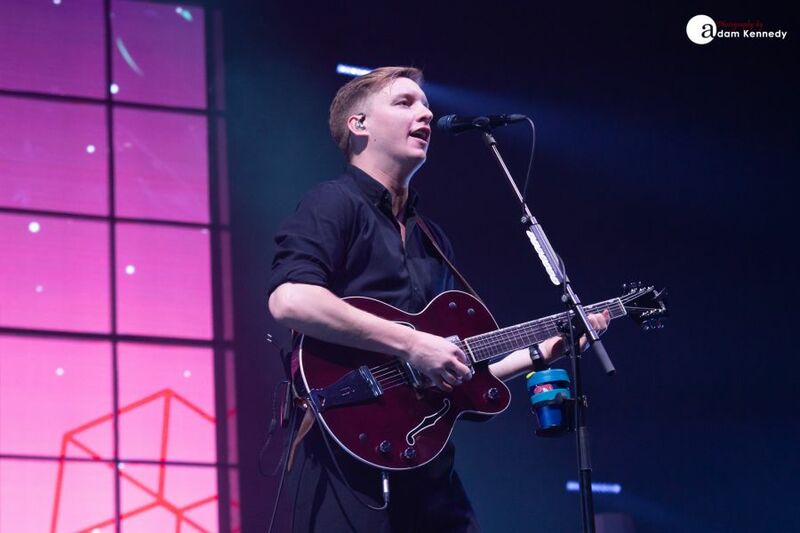 With a sell-out UK arena tour that includes two nights at the O2 in London and the much coveted British Male Solo Artist award at this year’s Brit’s already under his belt this year, it looks as though George Ezra’s 2019 is going to be as bright as the thousands of cell phone lights that illuminate the Utilita Arena this evening. On the strength of tonight’s performance, the North East based audience would certainly agree. 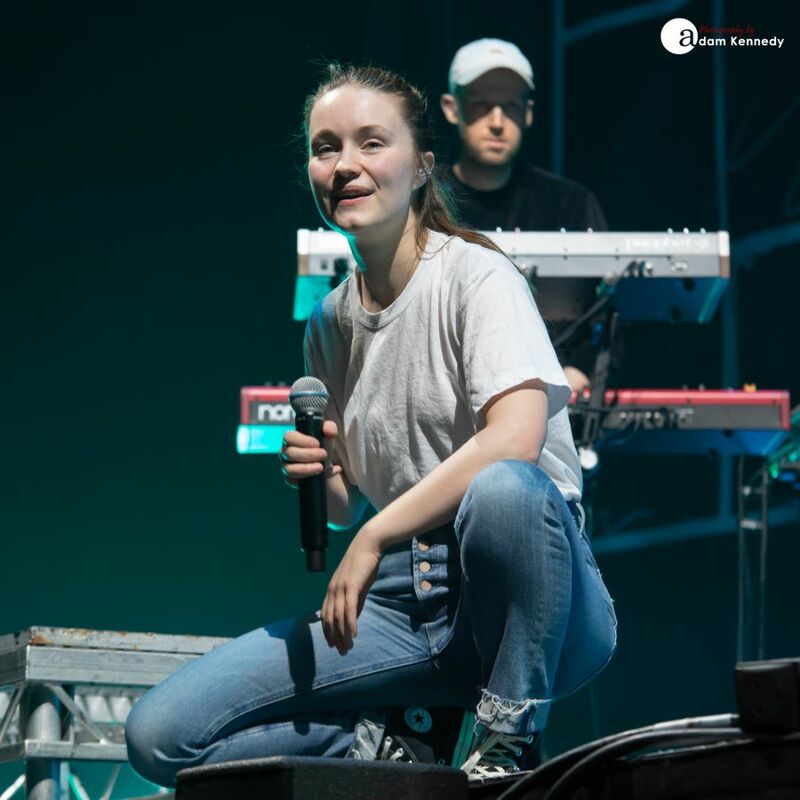 Synth-pop sensation Sigrid opened the proceedings early in the evening. With the imminent release of her new album Sucker Punch this week the Norwegian singer/songwriter took to the stage like a whirlwind of energy. 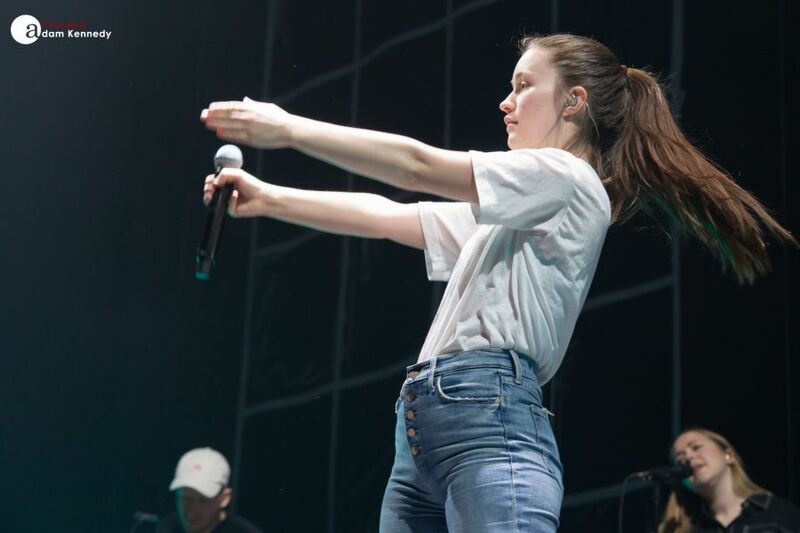 With the catchy hooks of hits like “Don’t Kill My Vibe” and “Strangers” Sigrid very quickly got the Utilita Arena moving whilst simultaneously winning over a whole new raft of fans on Tyneside. Sigrid will return to the region on the 27th November for a headline show at the O2 Academy Newcastle.